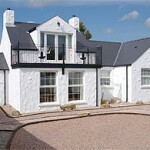 This fabulous County Down holiday home is an old and historic country farmhouse which will welcome you into a holiday let you will surely remember. This beautiful Georgian country house sleeps up to 8 people and is the ideal holiday house for groups, families and couples. Step through the bright red door and if it weren’t for the electricity and running water, you might imagine you had gone back 200 years. Magnificently restored rooms are filled with furniture and fabrics that are much-loved and mismatching in the best possible way. The farmhouse kitchen, complete with a Rayburn cooker is an atmospheric setting for meals around a 50s-style bench table. Retire to a music room with a free-standing organ and antique piano. Bedrooms are a museum of period furniture and floral patterns that are now back in fashion. At the rear of the building is another surprise: an old cattle shed converted into a wellness area with a sauna and hot tub Jacuzzi. Tullymurry House is a complex building dating back to the eighteenth century. It is a listed elegant Georgian country house which was facing an uncertain future due to lack of regular use. 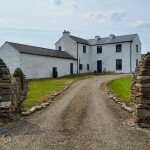 The Irish Landmark Trust was approached by the owners at the beginning of 2009 and a beneficial partnership with the owner was negotiated resulting in the house being conserved and given a new use as an Irish Landmark restored holiday home. 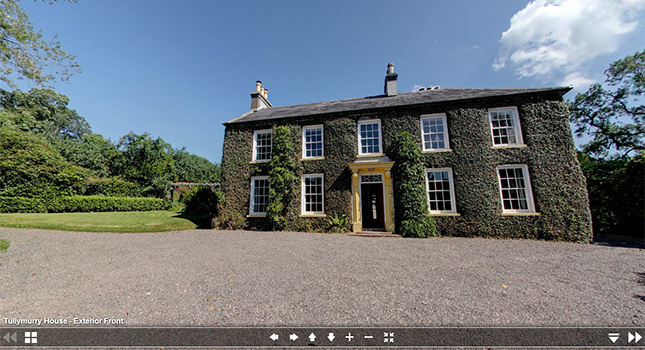 More of the history of this property can be found on the Irish Landmark Trust’s website. The Trust saves heritage buildings that are abandoned or at risk throughout the whole of Ireland. 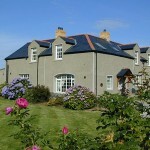 Check out more of the unique Irish Landmark Trust holiday accommodation we’ve visited. My Name is Gillian I work for KN Networks and I look after all accommodation for the company. We have 8 guys looking for a house/s near Banbridge or in Co Down 10 – 15 miles away. The dates we are looking at are 21st Aug to 3rd Oct but, now I know that you don’t have all dates as I was speaking with Irene earlier but if you would have any weeks within this time i would really appreciate you looking into this for us. We’re not affiliated with Irish Landmark Trust. We are photobloggers who travel across Ireland with 360° cameras recording where we go on this website. 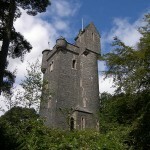 We have captured many of the Irish Landmark properties. 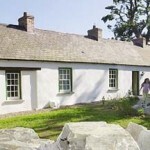 You would need to contact the Irish Landmark Trust directly.